2015 Tamiya Monster Beetle « Big Squid RC – RC Car and Truck News, Reviews, Videos, and More! 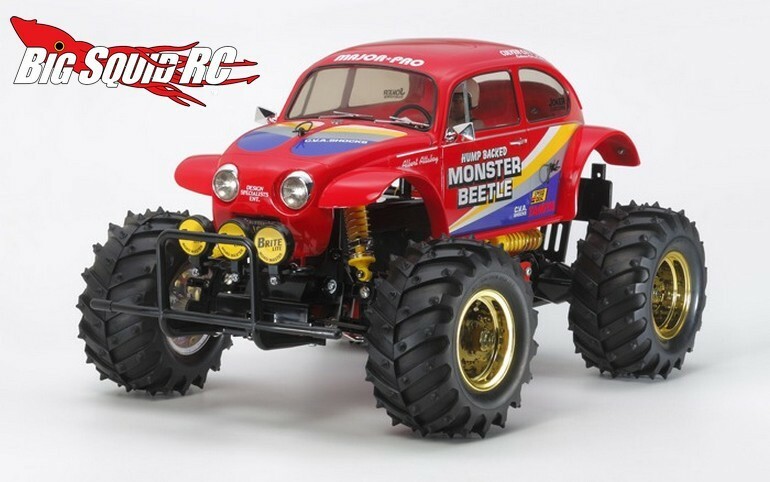 Tamiya has just announced the re-release of the Monster Beetle. Way back in the 1980s the Monster Beetle was the first vehicle for a whole bunch of young hobbyists. Now you can add the 2015 edition Monster Beetle to your collection or pick one up so your own son or daughter can experience what it is like to build a kit. The Beetle has a retail price of $274, a part number of #58618, and you can hit This Link for additional details. Click Here to read more Tamiya news on BSRC.